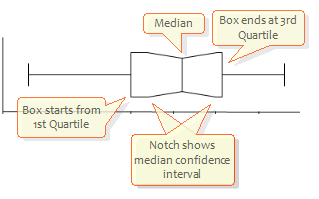 Summary statistics present a statistical and visual overview of independent samples. 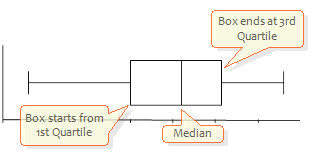 A side-by-side combined dot-, box-, mean-, percentile- and SD-plot give a visual summary and statistics such as the mean, median, standard deviation, percentiles, quartiles, skewness and kurtosis summarise the sample numerically. 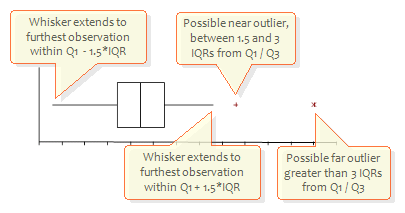 At least two independent samples measured on a continuous scale. Select any cell in the range containing the dataset to analyse, then click Compare Groups on the Analyse-it tab, then click Summary. Select any cell in the range containing the dataset to analyse, then click Analyse on the Analyse-it toolbar, click Compare Groups then click Summary.